Hello everyone! Mother’s Day is just on the horizon and I bet you’re starting to plan out what you’ll be getting your own mother for the special day! But what about the kids? Let’s get them involved too! I’ve compiled a list of 25 great projects for you and your kids to make! Many of these are simple enough that your children can complete them by themselves! We’ve got projects for all different age groups so please feel free to browse and discover one that would work great for you and your little ones! 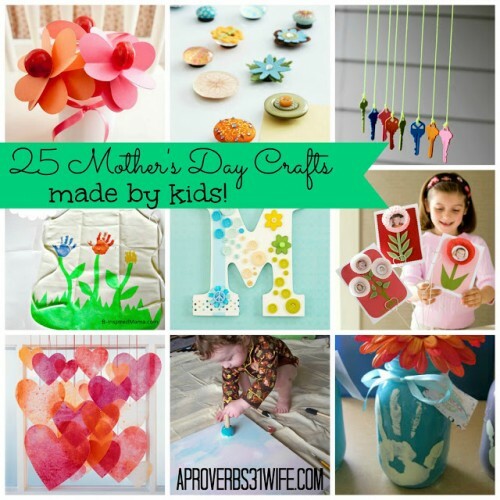 25 Mother’s Day Crafts that Kids can make! 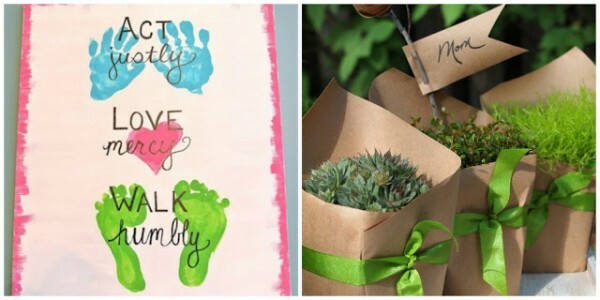 Children’s Hand-Print / Paper Wrapped Plants. 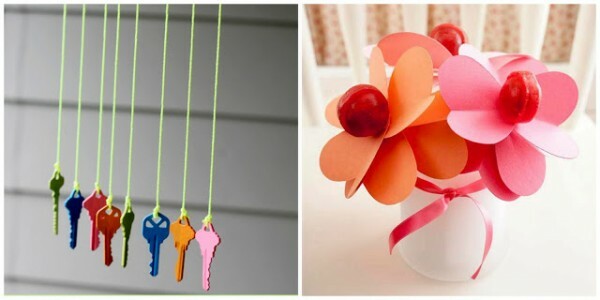 DIY Key Chimes / Hand-made Mother’s day bouquet. 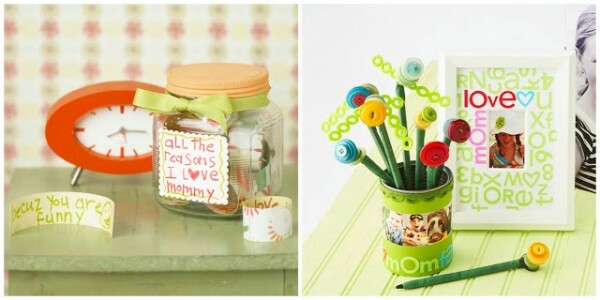 Mother’s day Gift Jar / Mother’s Day Pencil Holder and Frame. So, what do YOU think? Do you see anything here that you think your kids would love to make? What a great list of ideas! I love several of these! Wow, what a lot of great ideas! I don’t think I could choose a favorite although I do love the one about things I love about mommy! It’s just so awesome that you put them altogether in one post! What a great collection of ideas! Thank you for sharing at our Pinteresting Party! Hey Kendra, just popping back in to let you know that I’ve featured you at this week’s Pinteresting Party!